Today our team split up between Team 1 and 2. Kaylee, Kayce, Stephanie and Deb went with Team 2 and went to Papillion Marketplace, For His Glory Orphanage and Mother Teresa Home for the Sick and Dying. It was emotionally trying, yet very rewarding. The rest of Team 1 had the opportunity to go to Rosie's Boutique and Wahoo Bay in Titanyen up in the mountains. Rosie's Boutique is a store that has a collection of items created by Haitians from multiple in country businesses. We also bought some smoothies and iced coffees. 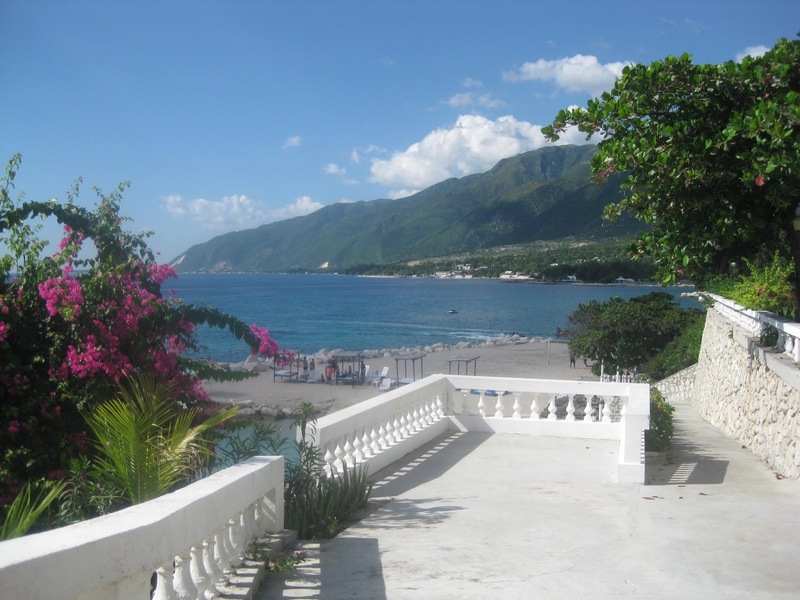 Wahoo Bay is a beautiful resort with a beach, pool and a great mountain view! We took in the scenery and basked in the sun one more day before heading back to the cold of Minnesota. It was a good chance for all of us to decompress and process the week and have some fun together! The girls (Serena, Reese, Sydney & Jade) took two jet skis for a ride in the ocean. It was a wild ride with lots of screaming! There was a water trampoline near the beach that the girls had fun jumping on as well. We had lunch on the veranda and got to take in some shade and cool off for awhile. We arrived back at the guesthouse, took showers and had a filling dinner. We closed out the week with Team 1 & 2 meeting together on the rooftop area processing the week, worshipping and talking about re-entry into the United States. We have all had similar experiences this week, but God has worked in our hearts in different ways. It has been an amazing week for all!